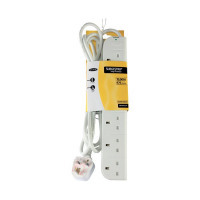 Power surges and spikes can cause irreparable damage to sensitive equipment such as computers and TVs. Protect up to 6 devices with the Belkin E-Series SurgeStrip, featuring protection against surges up to 476 joules in a slim white casing. 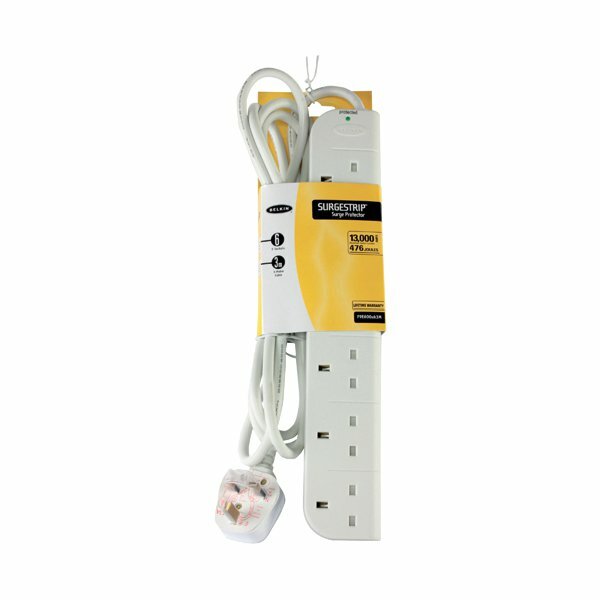 With six sockets and a 3m power cord, it's the ideal choice to replace an unprotected power strip.